I’ve recently been making sure to feed my family a healthy breakfast most mornings each week. I like to make sure to include some protein and healthy greens to get everyone’s brains moving without them facing a sugar crash within just a couple of hours. While I love tasty pancakes or chocolate iced donuts, these types of things are horribly unhealthy and do nothing to keep you going throughout the day. 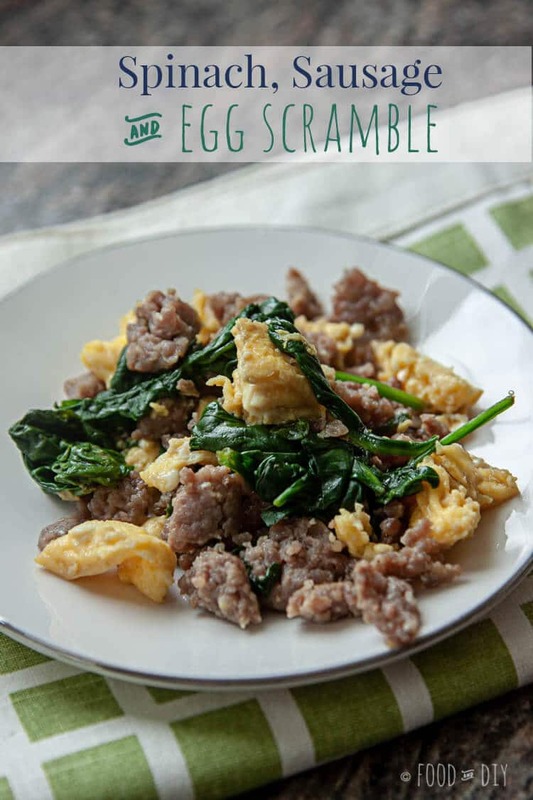 This Spinach, Sausage, & Egg Scramble is perfect. Full of delicious, healthy protein and nutrient-dense greens. If you prefer kale you could easily swap out the spinach for kale. First, brown about your sausage. Then scramble up some eggs (sorry I forgot to shoot that part). And then you can store everything in a large container. That’s literally it. SO EASY. 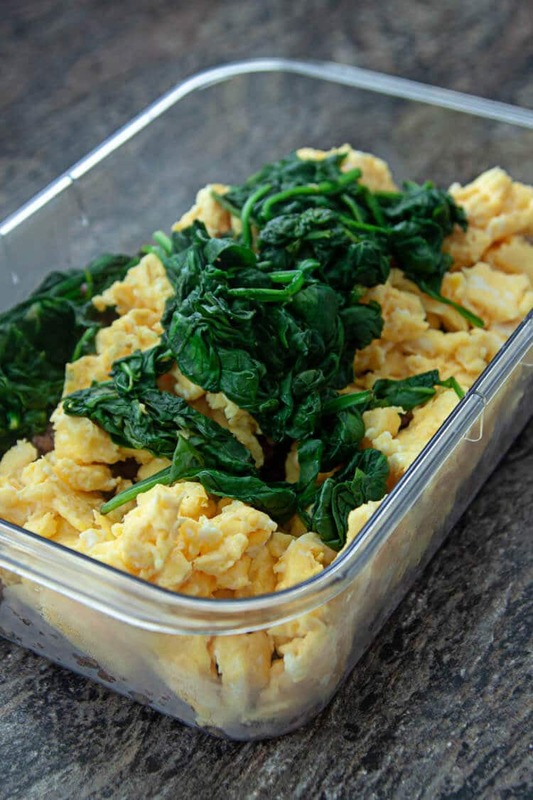 Spinach, Sausage, & Egg Scramble is a great breakfast for meal prepping for the whole week! First heat a large skillet over medium-high heat. Brown the sausage crumbling the sausage up as you go. Once the sausage is browned, drain the grease in a colander. 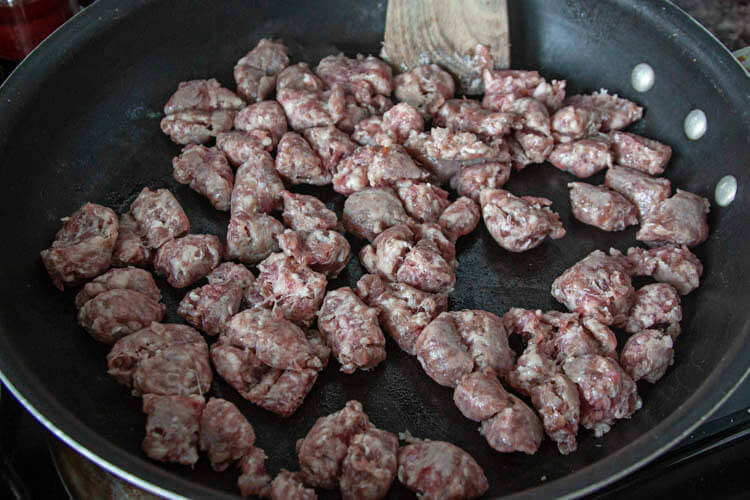 Place browned sausage in a large storage container. 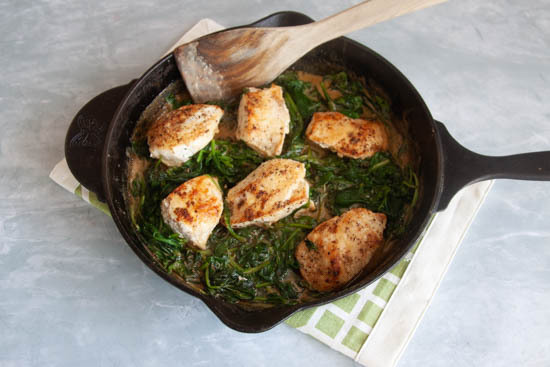 Turn the heat on your pan down to medium to medium-low. Scramble eggs. I will usually leave mine a little soft so they don't turn rubbery when reheating. 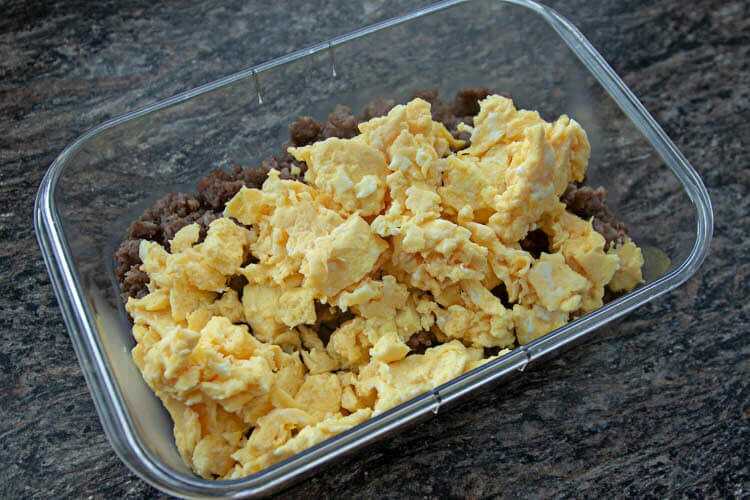 Remove eggs and add them to the storage container with the sausage. 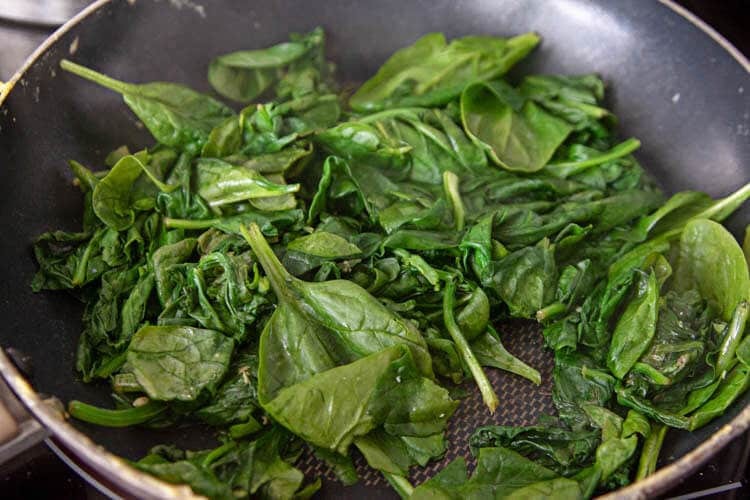 Wilt your spinach over low-medium heat, then add it to the eggs & sausage. Mix until everything is evenly combined. Store in the refrigerator for up to a week. Reheat portions in the microwave as needed. I have also browned my sausage, drained it, put the sausage back into the pan and then added the spinach and eggs to finish cooking everything all toghether. This method works fine the food is just much messier looking and not quite as pretty. Delicious! I love make ahead breakfast recipes, this looks delicious and easy! Such a filling and tasty breakfast recipe! I’m always at a loss for what to make for breakfast and usually I’m in a rush so this recipe solves both problems at once! I love quick and easy breakfasts like this! They’re so fast and full of nutrition! I love love scrambled eggs with spinach. The sausage adds a nice accent without the heaviness of cheese. Also perfect to serve up to the family. my kind of easy shmeezy breakfast and I always have spinach in the fridge because it is one of my favorite vegetables! This is the perfect breakfast. Very well ballanced and sausage meat is packed with flavour. 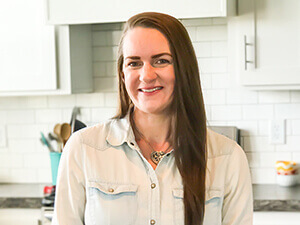 #Keto ! Super! I didn’t realize it was keto friendly but that’s always great! Just 3 ingredients?! You’re speaking my language. 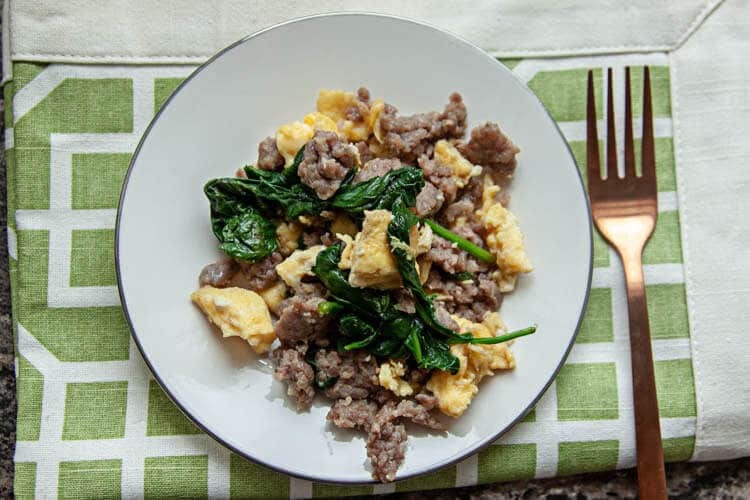 This scramble is perfect to prep for quick and easy work week breakfasts! Thanks for the inspiration! Just 3 ingredients, did I read the ingredients correctly. Such a breeze for me for cooking this for our weekend breakfast. Awesome share. Yes! It is SOOO easy! Perfect breakfast idea. It’s quick, easy, healthy, and filling. What’s not to love about this spinach, sausage, and egg scramble? I am looking forward to trying it. Love how easy yet delicious this looks! I always love a good egg scramble. Can’t wait to try these eggs this week! Yea!! I hope you love it! I love a good breakfast especially at the weekend. This sounds like a great breakfast combo and, as you say, so much healthier than starting the day with something sweet! For sure! Then you don’t get that sugar crash! So easy and yet so satisfying. That sausage looks really good. I am not one for super sugary breakfast, I would much rather have this! Oh, I am the opposite. I’d rather have sugar for breakfast but that just makes me hangry later! This is a much better option! 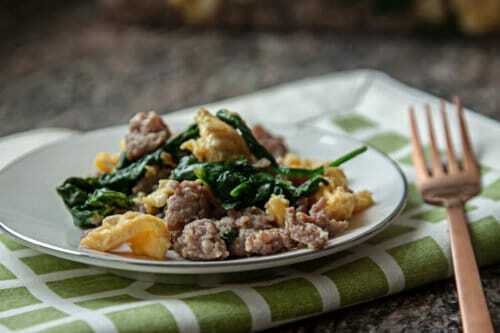 This spinach sausage and egg scramble looks perfect for busy mornings. Making this on Sunday will set me up for a healthy week of eating a well balanced meals. That’s a great idea! I saves me so much time and sanity! I always try to save something to freeze. I love to find some extra in the fridge when I don’t really want to cook. Loving this scramble – definitely need to give this one a try! I would be super happy to have this for breakfast any day! I love eggs with lots of mix-ins! Right?!?! I get bored with plain scrambled eggs! This recipe sounds so tasty and so simple! Will definitely be saving for a weekend morning. Thank you for the inspiration. Chorizo might be a fun alternative too?! OOOOOHHH chorizo would make it even better! What a perfect breakfast recipe. Every weekend we struggle to come up with something new for our family breakfast and I will have to suggest this one this week. I love how healthy and simple it is! Thanks for another awesome post! This is a great brunch idea for the weekend. We also love having “breakfast for dinner” once a week. Sounds like this might have to happen for dinner in the next day or two. Love all the flavours happening here. Yes, it is a great idea for brunch or breakfast for dinner! This is a perfect well rounded breakfast! It is so super convenient that it is simple to make and can be kept in the fridge for heating!!!! Working from home with a large family is a perfect scenario for planning breakfast meals. We love eating together in the morning, so the easier the better. Oh for sure! This would be great for family breakfasts!